In a two-night live broadcasting event, Channel 4, The Local Station, and the Jacksonville University Public Policy Institute (JU PPI) will co-host debates among the candidates vying to become Jacksonville’s next Mayor and Sheriff. News4JAX anchor Kent Justice will moderate the event focusing on key issues facing our community. 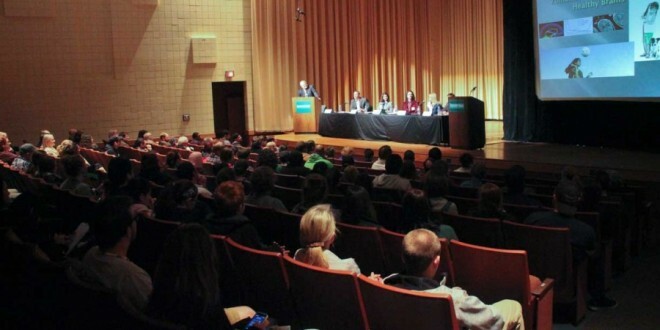 At 8 p.m. Wednesday, March 18, the candidates running for Mayor take the stage at Jacksonville University’s Terry Concert Hall to discuss their vision for the city in the final critical debate before the March 24 First Election. The debates continue the next night, Thursday, March 19, as all seven candidates running for Jacksonville’s next Sheriff lay out their plans to fight the city’s crime. Both debates are one hour and can be seen live on WJXT Channel 4 and News4JAX.com beginning at 8 p.m. and will be televised from JU’s Terry Concert Hall. JU PPI Director Rick Mullaney said the debates are a key for voters as they decide who will shape the future of the city. Each debate is moderated by News4JAX anchor Kent Justice in front of a live studio audience. “In addition to covering the big issues we must face, I’ll be asking questions sent directly to us from our viewers submitted via News4JAX.com, and our local station Facebook page,” said Justice. The back-to-back debates are Wednesday, March 18, and Thursday, March 19, at 8 p.m. on Channel 4, The Local Station.